Nevermind the camera megapixel race, or the refresh rate race in monitors, we are on the resolution race now. Handheld devices have been going at it for the last few years, going from the lacklustre (by today's standards) 480 × 320 display in the original iPhone to the latest crop of Android phones sporting pixel-perfect 2560 x 1440 QHD displays. Unfortunately things have been comparatively stagnant on the desktop side. The likes of Dell, Asus, and Samsung have been offering 4k monitors for a while, though for a variety of reasons making those work effortlessly on multi-monitor setups is not as plug and play as one would like. 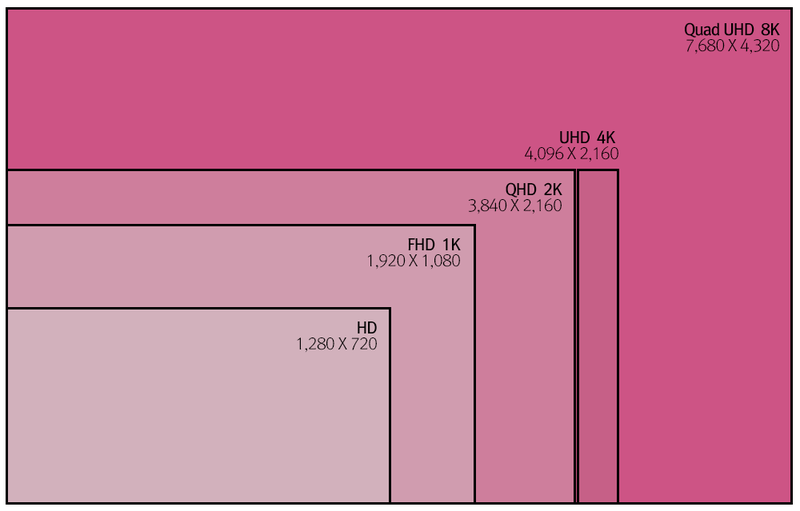 Alternatively, LG has also been pushing the ultra-wide format with relative success. It has become clear that Japan is planning to launch an 8K SHV test broadcast and then promptly restructure the UHD service. Apple has also announced that they will release the ‘iMac 8K’ with a super-high resolution display later this year. Korea is also preparing to offer an 8K service demonstration at the 2018 Pyeongchang Winter Olympics. LG Display displayed a new beacon of the 8K era by revealing their 98-inch 8K Color Prime Ultra HDTV at CES 2015. Except Apple has not. So either LG's release is factually wrong, since 8K displays are not even expected from panel providers until 2016, or at the very least Apple is working with this kind of high resolution panel in the labs. When LG showcased its first 8K set at IFA 2014 behind closed doors, they claimed they had achieved 16 times the resolution of full HD, but to make the magic happen they required four 4K image processors to produce the 8K resolution image. This was a prototype, but merely one year later we have to wonder if they have gone from one-off concept to mainstream so quickly. We doubt it, but the idea remains we are finally seeing more aggressive progress on larger computer displays.